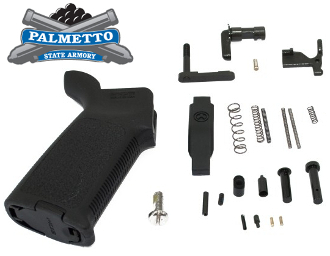 Palmetto State Armory AR15 MOE Lower Parts Kit without Fire Control Group. Just what you need to finish out your lower when you have an existing trigger group you would like to use. Includes all necessary parts, minus the fire control group (FCG).